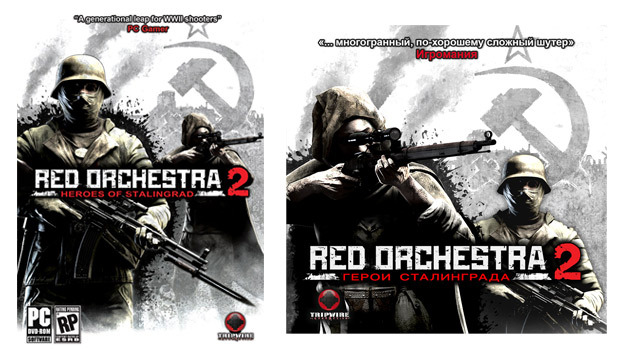 According to the Red Orchestra 2 box art, snipers and hidden precision shots come first in Russia. While in the West, we'd rather like to go full-auto and maybe, just maybe, get up close and personal to stab someone with a bayonet attachment. Or are these the classes that are getting shot first? So many questions! Luckily most of us will be able to do both sniping and assault from the looks of these very reasonable PC specs. While you're here, why not have some official and unedited key features for breakfast? This game has no equal in FP.